VP. 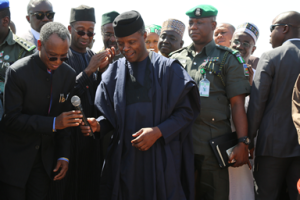 Osinbajo Lays Foundation For 2000 Housing Units, Galaxy Mall In Kaduna State. Copyright © 2019 Ministry of Works, Housing and Transport. Designed and Managed by Hallowgate. Theme: KDSG by Hallowgate.